At this past weekend’s ‘Motor Muster’ held at Greenfield Village, the show displayed more than just automobiles. They had a nice collection of older scooters and motorcycles, and they had a great collection of bicycles from various decades. The image above is of a Schwinn, most likely from the 50’s (I neglected to take a picture of the info card, so I don’t have the particulars on this bike.) I did punch up the color a bit in the post. 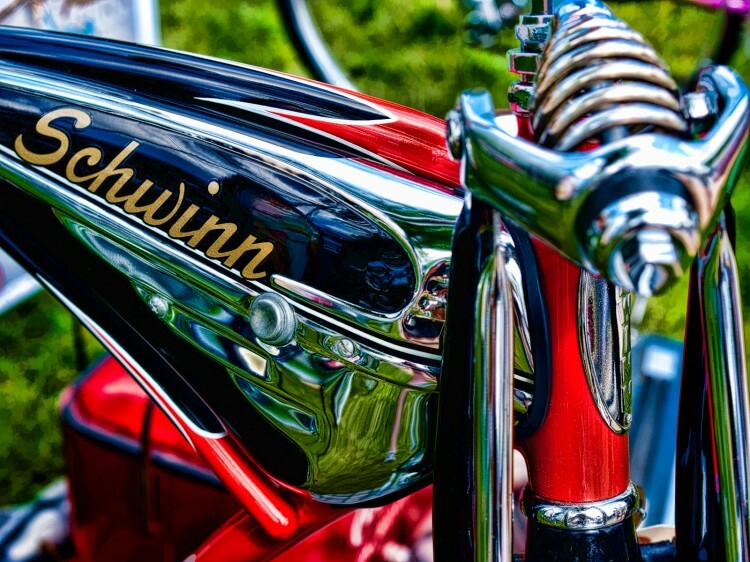 Looks to be the tank of a Schwinn Phantom. Way cool picture.